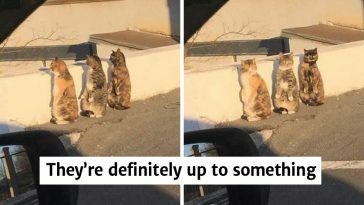 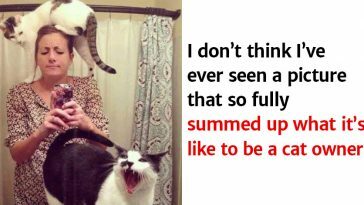 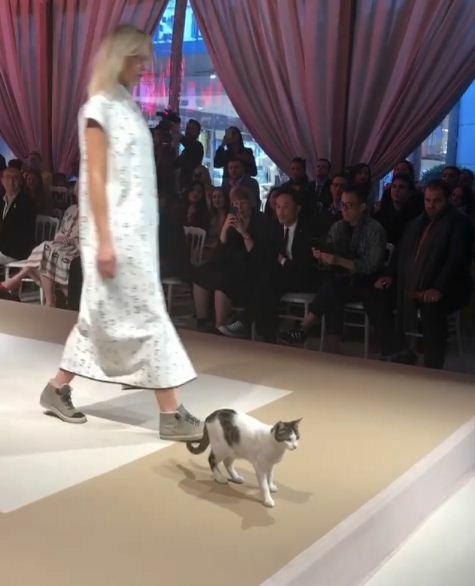 Looks like a cat finally gave the word ‘catwalk’ a proper meaning.. 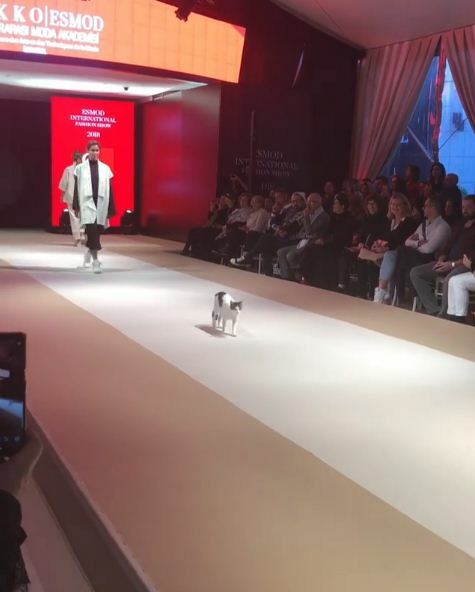 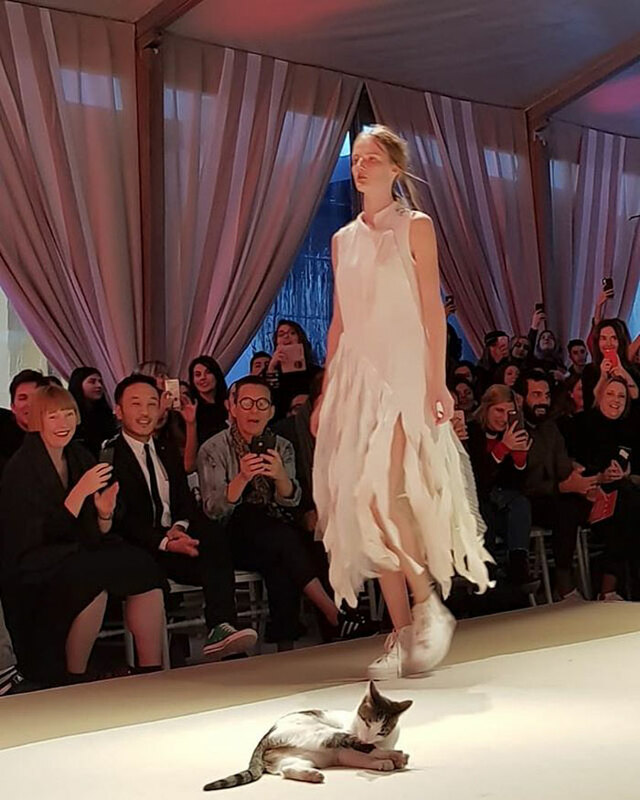 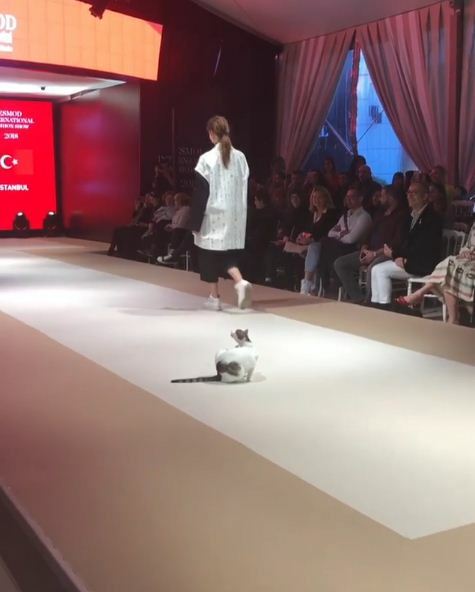 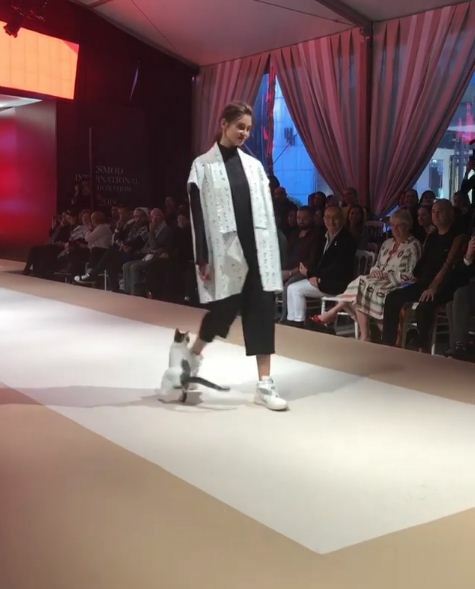 While models were showcasing an array of designer clothes by Göksen Hakkı Ali in the Esmod International Fashion Show, held at Esmaar Square Mall in Istanbul, a random cat barged in to steal the show. 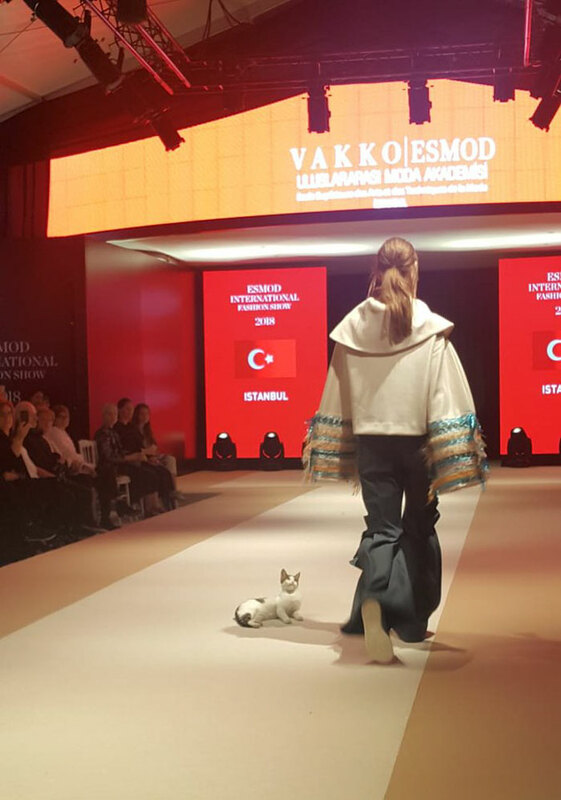 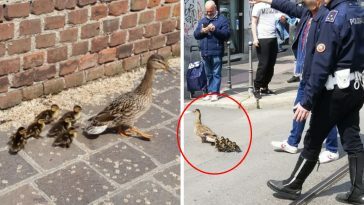 “Everybody was in shock”, Göksen Hakkı Ali told The Dodo. 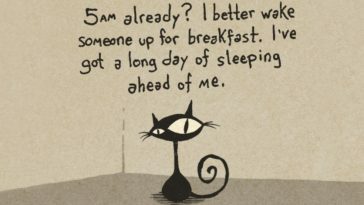 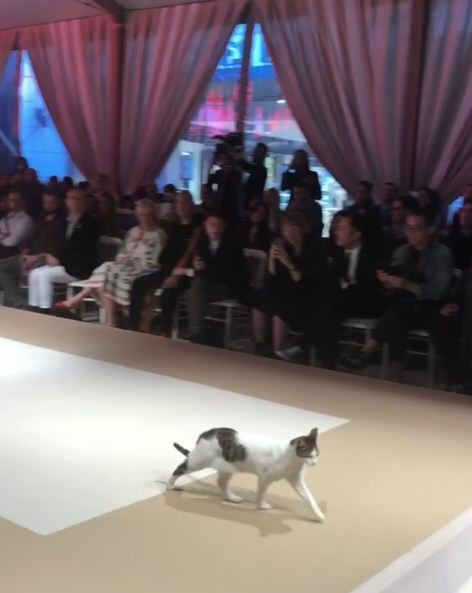 Out of nowhere, the cat began to strut, and scratch, and sport some ferocious poses in the middle of the catwalk. 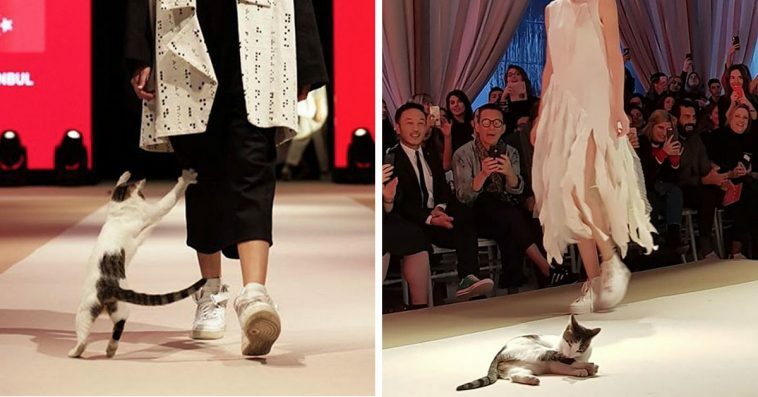 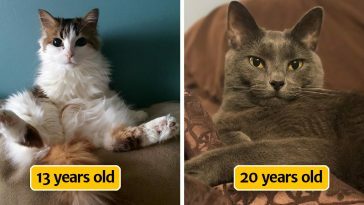 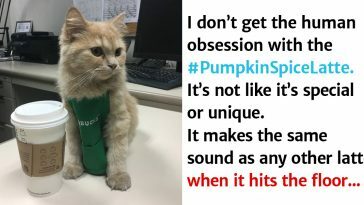 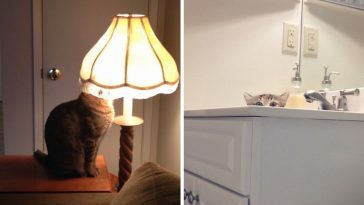 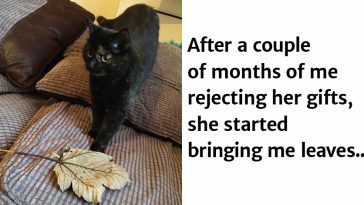 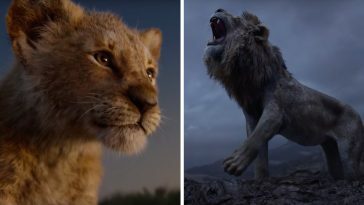 All eyes and camera flashes were aimed at the cat’s playful runway schemes, and it was evident that it loved all the attention it was getting. 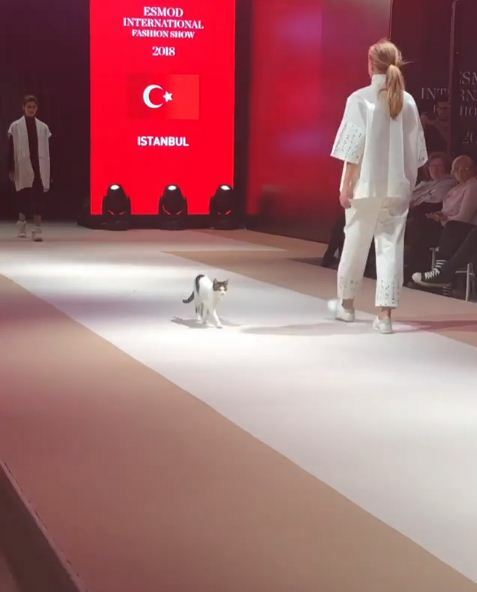 What it didn’t quite love though was having to share the stage with other models. 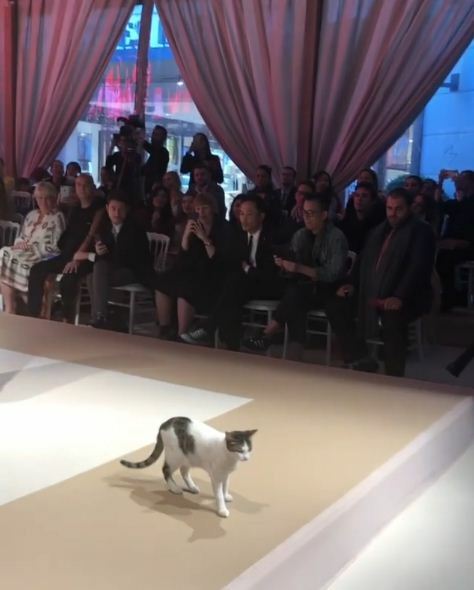 The cat tried to pick up fights with the models coming its way just to reclaim its rightful place at the fashion show. 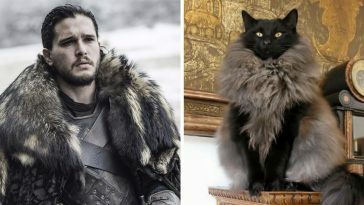 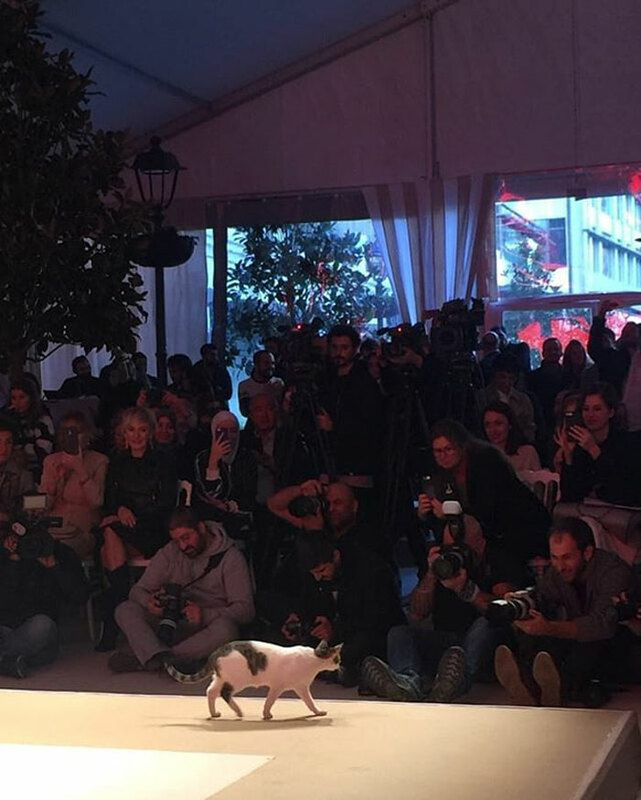 In the end, the cat didn’t just win over the fashion week but it also won all of our hearts. 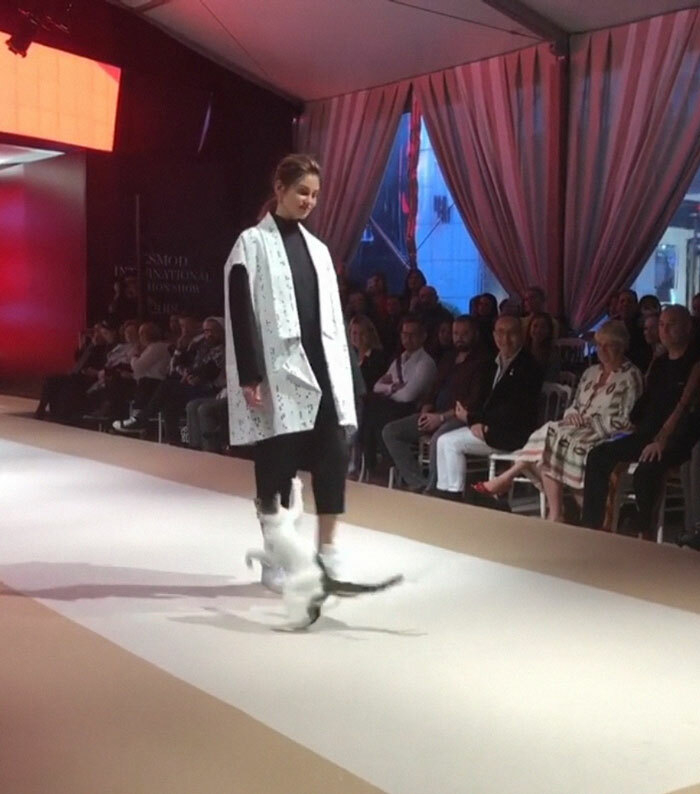 Now we all know why they call it ‘catwalk’ and the following photos are our proof.